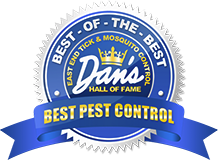 If you require tick control services for your Eastern Long Island property, you can trust East End Tick Control® to take care of any tick problem you may be facing. Ticks are some of the worst pests to be infested with due to the likelihood of diseases that they carry. In fact, the United States Center for Disease Control identifies over 15 different illnesses that originate from the pathogens that ticks can carry. Some of these diseases, such as Lyme disease, are incredibly debilitating if early intervention is not taken, which is why dealing with the tick population of your property is the safest, most proactive course of action. Ticks are a very serious problem as infestations can spring up out of nowhere due to the transportation of the pests on animals such as deer and raccoons. It is quite difficult to spot an infestation at first if there are no signs of ticks on the skin of members of your family or pets. However, once ticks are spotted, immediate action needs to be taken. Since a tick population boom can happen quickly and without obvious notice on your property, we suggest spraying for ticks every month during the active tick season of April through November. We use a low-toxicity acaricide in order to combat the tick population while keeping your family and pets safe. We spray once a month, ensuring that the population on your property never has a chance to grow and the problem is controlled at the source. We can set up scheduled appointments for tick spraying so that your property remains tick-free during their peak months of activity. Keep Tick-Carrying Wildlife Off Your Property: The best option to control the tick population on your property is to have a professional service like East End Tick Control® come and spray for ticks. However, as your full-service pest prevention expert, we want to provide you with tips to ensure that your property remains as tick-free as possible. Reduce Wildlife Accessibility to Your Property: Ticks gain their mobility by being transported on the wildlife of Long Island’s woods. In order to prevent an infestation on your property before it even happens, we suggest closing off any entrance from wooded areas or areas with tall grass. 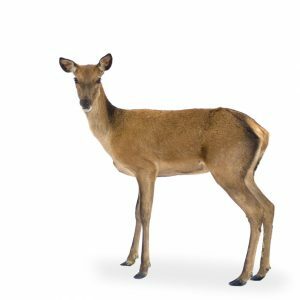 By utilizing fences or netting to close off these areas from your property, you can prevent deer from coming onto your property and bringing ticks with them. As fence construction can run up a substantial bill, we suggest wire fencing or plastic deer fence netting to avoid expensive costs. Make Sure Your Property is Clear of Tick Habitats: Contrary to popular belief, ticks actually don’t live right in the middle of your lawn. In actuality, ticks often stick to areas with ample amounts of shade and moisture. So keeping your property clear of debris is an important step in maximizing tick control on your property. We suggest raking up leaves, removing excess woodpiles, and keeping the grass short. This will help get rid of the area where ticks tend to populate. Create a Tick-Free Perimeter: Sometimes contact with ticks is unavoidable. In this case, we highly suggest creating a tick control perimeter around your property to mitigate the spread of ticks. To do this, lay down a 3-foot wide barrier of gravel around your property where there are wooded areas. This will provide a visual reminder for your family and guests to avoid this area. This gravel barrier can reduce the number of ticks that would otherwise get to your property. If you suspect that you have a tick infestation on your Eastern Long Island property, there’s no time to wait. 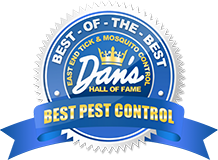 Contact East End Tick Control® today so that we can use our tried and true services to quell the tick population on your property. Please give us a call at any of our regional numbers or fill out our contact form. We’ll be happy to schedule an appointment to spray your property and set up a monthly schedule to ensure the safety and wellbeing of your entire family.